Every bride wants her wedding to be absolutely perfect, down to the last detail. The first dance. The first kiss as husband-and-wife. The cake. Ah, yes, the cake. Chances are that if you are a bride, you and your groom-to-be plan on enjoying the sample tastings and making sure your wedding cake is big enough to feed everyone at your wedding reception. You think you've dotted all the i's and crossed all the t's on the contract you signed with your cake vendor. 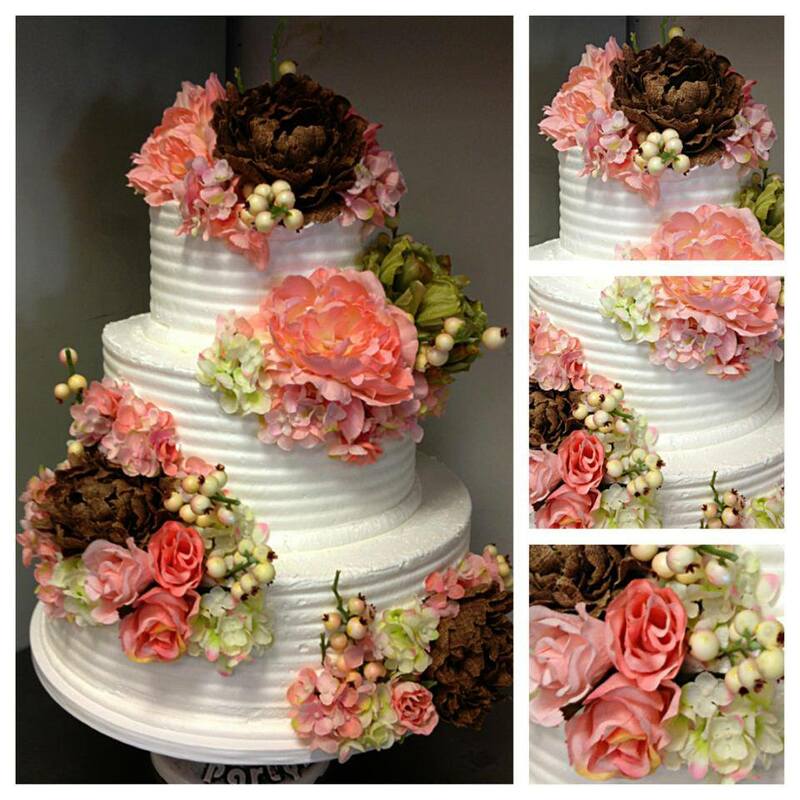 Everything is iron-clad for a beautiful cake like the one in the picture above that was baked by Ontario Bakery. It's a nice idea in theory but the reality is that not every cake turns out like the husband and wife expected. What then? One resourceful bride in the United Kingdom made light of her cake-gone-horribly-gone by advertising and pretending to sell her wedding cake on Ebay last week. Part of the listing read: "Complete disaster... offers please? I have roses which fell off this abomination if required. Sorry no returns." However, she later said it was all just a joke and took the listing down without selling the cake. Do you know what you would do if your cake was somehow ruined? Of course, it goes without saying that your best defense against a cake gone wrong is to make sure you choose an experienced bakery like Ontario Bakery and that you communicate your wishes well to them. As a final step, look over the contract and make sure you understand the terms. Ask what would happen in case there are any mishaps in delivering your cake. Will you still be expected to pay for the cake? Will the bakery provide a replacement cake? Make sure your contract addresses all the major "what-ifs" and specifies a possible remedy. And if you by chance should end up with a less-than-stellar cake only to realize your contract with bakery did not have a provision for emergencies. You can still ask your vendor what kind of recourse they can offer you. Communication goes a long way toward ensuring that the cake of your dreams makes it intact and just as you pictured so many months (or years!) before the wedding. And make sure you get it all in writing.